Leo Messi launches Facebook page, nets 6m fans in 3 hours! Barcelona and Argentina star Lionel Messi started a Facebook page on Wednesday and within just a few hours his page had attracted more than six million followers. As Mashable points out, Messi has collected 40 percent of President Barack Obama's total Likes and around 30 percent of Justin Bieber's total Likes, but in the space of only hours and not years. The 23-year-old forward is unsurprisingly delighted by the response to his Facebook adventure. "Hola! 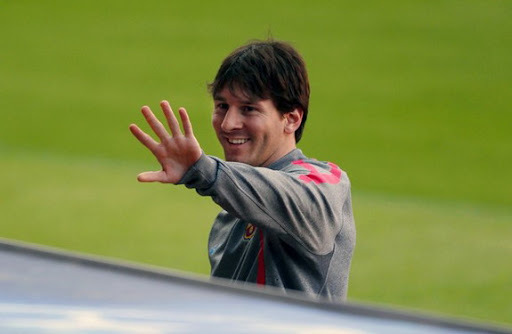 Welcome to everyone," Messi wrote on his page. "Thank you very much for the great number of messages that I have received. I am so excited! "From now on we will be more closely connected through facebook." Messi joins Barcelona team-mates Andrés Iniesta, Gerard Piqué, David Villa and Pedro and Real Madrid ace Cristiano Ronaldo as La Liga players with official fan pages on the site. Join Cristiano Ronaldo on Twitter, Facebook and YouTube!